Brand new! never worn! **Comes in a brown repurposed box** Style # D96647 Color: White Medium Width. 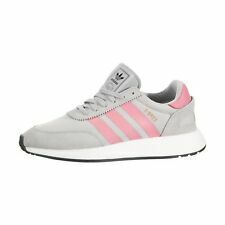 Adidas Original NMD_R1 STLT PK Women's Running Shoes CQ2028 AUHENTIC!!! In Good Condition. COLOR : White, Red, Gold Accents. These chic kicks feature a fun animal print upper that will take your outfit to next level cool. adidas Alphabounce 1 Running Shoes Black - Women’s sz 8. Shipped with USPS Priority Mail. Spring into summer with these cute Adidas Originals Gazelle Pink White Classic Women Shoes Sneaker BY9352 Sz8 1/2. Condition is New with box. Shipped with USPS Priority Mail. Sneakers NEVER been USED. These running shoes combine comfort and high-performance technology for a best ever feeling. 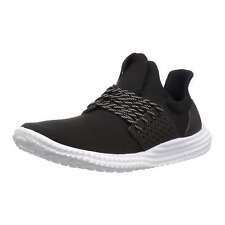 They have a stretchy knit upper that aids the changing shape of your foot as you run. 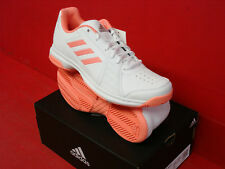 Adidas Women's 7 Falcon Running Shoes Black/Pink//White D96699. Condition is New with box. Shipped with USPS Priority Mail. ADIDAS ALPHABOUNCE BEYOND W WOMENS RUNNING SHOES BLACK/WHITE 8.5 AC8633 NEW!!! BRAND NEW WITH BOX..WOMENS SIZE 8.5..ANOTHER WINNER!!! Rubber sole. New without box. U sed once. Condition is Pre-owned. Gently used but in great condition. Shipped with USPS Priority Mail. Vintage adidas Originals Superstar 80s Triple White Women Casual Shoe Size 7. Condition is Pre-owned. Shipped with USPS Priority Mail. Women's adidas Galaxy Trail Running Shoe Blue/Silver/ Carbon Size 9. Condition is New with box. Shipped with USPS Priority Mail. New Womens Adidas Ultra Boost X All Terrain Running Shoes Size 8.5 Carbon BY8925. Condition is Pre-owned. Shipped with USPS Priority Mail. Adidas KX TR Art V 20332 Black / Purple Trail Running Mud Release Soles. Adidas Deerupt Runner Womens Size 10 Core Black Brand New. Condition is New with box. Shipped with USPS Priority Mail. Soles have minimal wear. gently used. No smell just washed hot Item bid now adidas Tubular Shadow Shoes Women's 8.5 Best Price Steal Get It Now. Condition is Pre-owned. Shipped with USPS Priority Mail. These shoes are used but are still in great shape! In great condition. Light wear from normal general use. Br an d ne w ne ve r wo rn A di da s Ca mp us f or w om en. These we re b ou gh t fo r my w if e an d sh e nevert oo k th em o ut o f th e bo x. St il l ha ve t he t ag s on t he m an d in o ri gi na l bo x. They have been worn only for my basketball games. The right shoe does not have a comfortable bottom. 7.5/10 is in perfect condition.